Your homeowners insurance covers the value of your house and items inside it. 1. What Claims Can I Make on My Homeowners Insurance? 3. Does Homeowner's Insurance Coverage Require a Home Inspection? Most homeowners understand that their homeowners insurance policy will pay to replace their home in the event of a catastrophe, and many also know that coverage usually extends to most items they owned that were destroyed along with the home. Your policy’s personal property coverage provides coverage for your possessions in case of a loss, but it usually has limits far below the policy value for a replacement structure. In some cases, homeowners may want to increase their personal property limits. Determine if the personal property limits in your policy suit your needs. 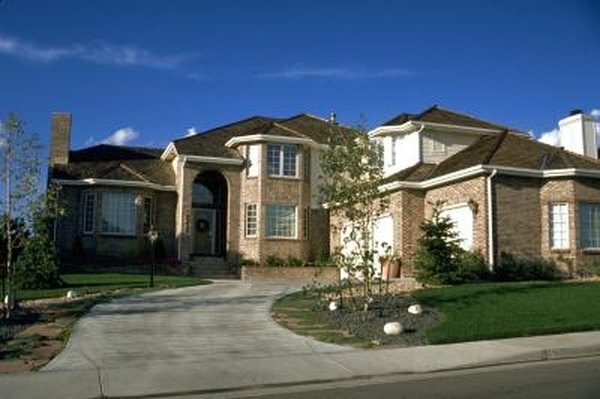 Most policies offer built-in coverage of 50 percent of the dwelling limit. For example, if you choose a $200,000 policy on your home, it’s standard to receive $100,000 in personal property coverage. Calculate if basic coverage is enough. Take a quick inventory to determine the ballpark value of your possessions. The value of furniture, electronics, appliances, media, kitchenware and clothing can quickly add up. If the limits of unscheduled property -- types of property automatically covered by your policy -- don't exceed your personal property limits, you probably have enough coverage. Weigh the value of special items that aren’t covered by your policy. Because many policies place limits on categories of property such as art, collectibles, firearms and jewelry, you’ll need to purchase additional coverage, known as scheduled coverage, which extends to these items and extends your personal property limits on them. Subtract the limits of your personal property policy from the value of high-ticket items to calculate the amount of coverage you need. Consider extra coverage if you don’t have a cache of expensive items and your possessions’ value exceeds your personal property limits. You may purchase extra contents policies that raise personal property limits to better suit your possessions’ worth. Extra contents policies raise the limit on your personal property limits without raising the coverage on the structure, making additional coverage more affordable. Determine if you want a replacement or actual value policy. Replacement value policies provide the amount to purchase a new, comparable object, while actual value policies cover the lost items’ current value only. For example, a replacement value policy would likely provide $1,200 to replace a 10-year-old computer, whereas an actual value policy may give you $50 based on its depreciated value. Your insurance company doesn't automatically provide you with an amount equal to your coverage limits in a loss. Insurers only cover actual losses, the value of the property lost, when they calculate settlements. Over-insuring your personal property will cost you more and won't provide any benefits if you file a claim. Why Does My Homeowners Insurance Company Keep Increasing the Value of My Home? What Are the Fundamentals Needed in a Homeowners Insurance Policy?